AMAC Aerospace’s Group of Companies was present at the AIX (Aircraft Interior Expo) in Hamburg, Germany 2019, the world’s leading event for platforms in technologies and products for cabin interiors in-flight entertainment systems on all commercial and business aviation related aircraft. 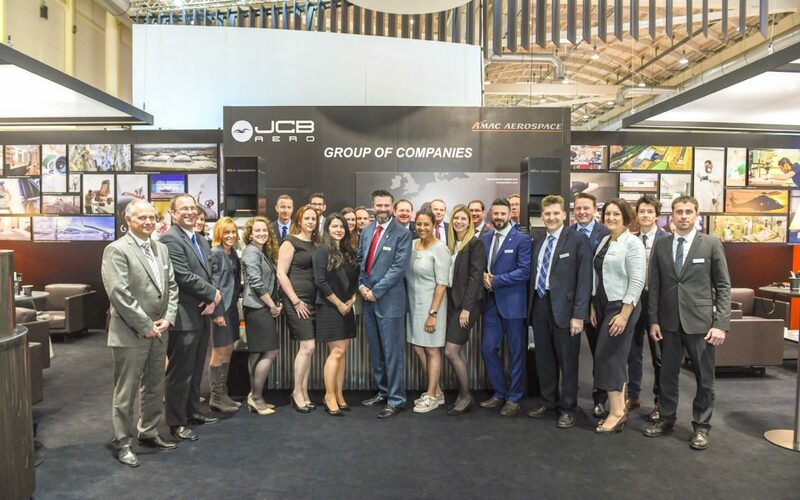 With a delegation from AMAC Aerospace Basel and Bodrum as well as JCB Aero Auch, France, the Group of Companies demonstrated its capabilities, expertise and achievements in cabin interiors and engineering services, for both business aviation and commercial aviation. Different show materials were presented by AMAC and JCB; a light weight cabinet concept, demonstrating a weight reduction of over 30%, composite panels and a unique Pop Up TV made by JCB Aero in Auch, France.